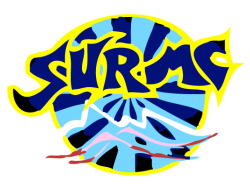 SURMC is a student-run club that facilitates an active climbing culture amongst its members. We meet every Wednesday night at the Ledge on Sydney Uni's campus, where we get discounted entry ($5!! ), and often head to the Flodge after for a drink. We run trips outdoors as regularly as possible, and cater to all levels of climbing. Other than this website, our Facebook group is the main method of communication between members- join to sign up for official club trips, find a climbing partner, organise a trip of your own and to keep up to date with the climbing world. SURMC is run by student volunteers. If you have a question about the club or rock up at the Ledge and don't have a climbing partner, look around for the faces below for someone to introduce you to SURMC life!